We offer a one - stop shop for all you cluster fly pest control management needs to kill, get rid of and stop infestations of cluster flies. 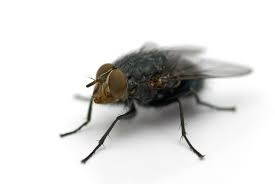 These flying insects are part of the blow fly family, but unlike other blow flies such a blue bottles, cluster flies do not lay their eggs in human food and so they are not a health hazard. Cluster flies are parasitic to earthworms and the females lay their eggs near earthworm burrows and the larvae infest the worms. Once adult the cluster flies emerge in late summer or early autumn then the problems can start. They are often in large numbers and are often attracted to gable ends of properties or at high level to light exterior walls of houses. Their aim is to over winter and they can find their way into loft, attic or roof void spaces. 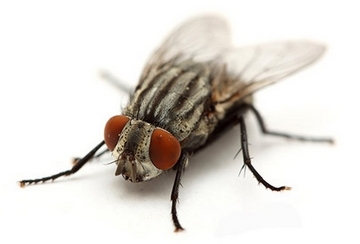 Cluster flies do not reproduce indoors. Cluster flies are often known also as 'attic flies'. The anomaly is that cluster flies may try to get into one house but may stay clear of a neighbouring house, even if it is a pair of semi detached properties!!! Cluster flies then re - emerge around late winter / spring time when they can become a problem again!!! How to Get Rid of Cluster Flies? We supply complete Cluster Fly Treatment Kits that contain professional standard fly sprays, powders and smoke bomb fumigators or automatic fly control insecticide spray dispensers. We also sell indiviudal products, such as Sprays, Powders, Smoke Bombs and Traps to stop and control cluster flies as well as Electric Cluster Fly Killers to maintain fly free attics, lofts and roof voids. Need Help or Advice on which Products to Buy? Just drop us an email to info[a]stopclusterflies.co.uk and we can assist.